CRFF - High Noon Highlights (4/17): Midweek wins for Baseball and Softball! The Cowgirls won their 7th game in a row last night, making their season record now 33-11. Samantha Show had a great day at the plate and in the circle. She went 2-4 with two doubles and two RBI, as she threw a complete game shutout with three strikeouts. It was also announced yesterday that Rylee Bayless was named the National Player of the Week by College Sports Madness. Congrats, Rylee!! 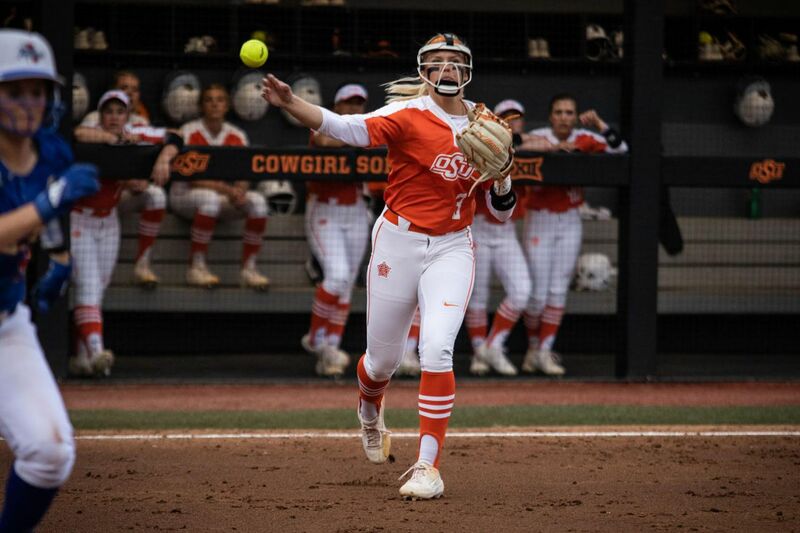 She is the third Cowgirl since the start of last year to be named Player of the Week by that publication. For the third time since the start of the 2018 season, an #OKState star earns @CSMadness National Player of the Week honors. Congrats, @Ms_Bayless9! After a disappointing weekend dropping a series at Kansas, the Cowboys turned it around by getting a midweek victory against Dallas Baptist. Trevor Boone and Colin Simpson both fired up the Gap Band with home runs in this one. Six Cowboy pitches combined to combined to stifle the DBU offense, striking out eight and only allowing six hits. If you care about RPI, this was a good win for Oklahoma State. #okstate baseball bounces back with a home win tonight, beating Dallas Baptist 6-3. OSU is No. 29 in the RPI and DBU was No. 34. Good midweek win for the Cowboys, who host Texas this Thursday - Saturday.